Neighbor wants an Adirondack chair... wants to use it during the summer, store it for the winters. Got to keep cost down. What wood is reasonable to use? She wants it 'natural', no paint. Clear pine? Cedar? She wants to go to Home Depot and pick up common pine...I had to stop her. Thoughts? Remember...keep costs down. Anyone have plans or pics of Adiron. chairs you built? how long does she want it to last and how cheap is cheap? I would use the cedar. You can get cedar "fence wood" at Lowe's or HD cheaper than pine and it will last 5 times longer anyway. In fact if there is no finish on the wood, the cedar turns a nice looking grey/silver and looks good too. 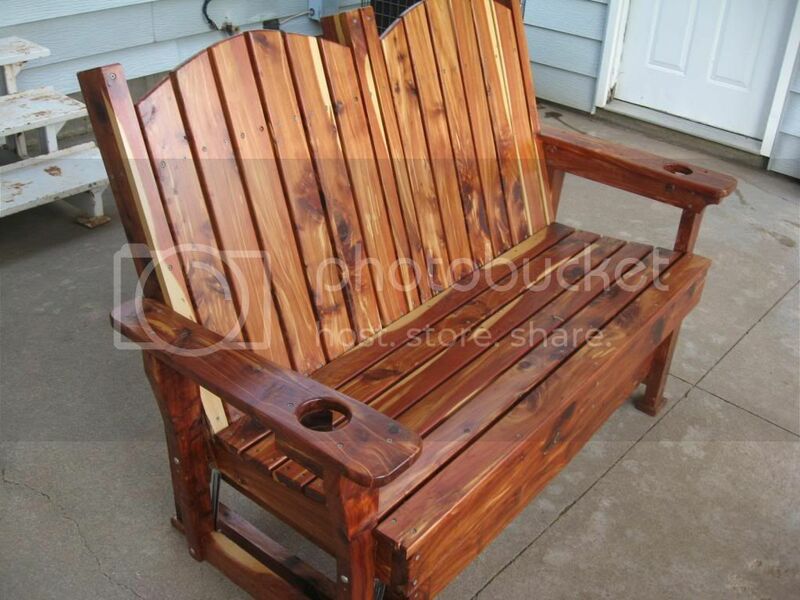 As for plans for an Adirondack chair are all over the wood working sites world wide. 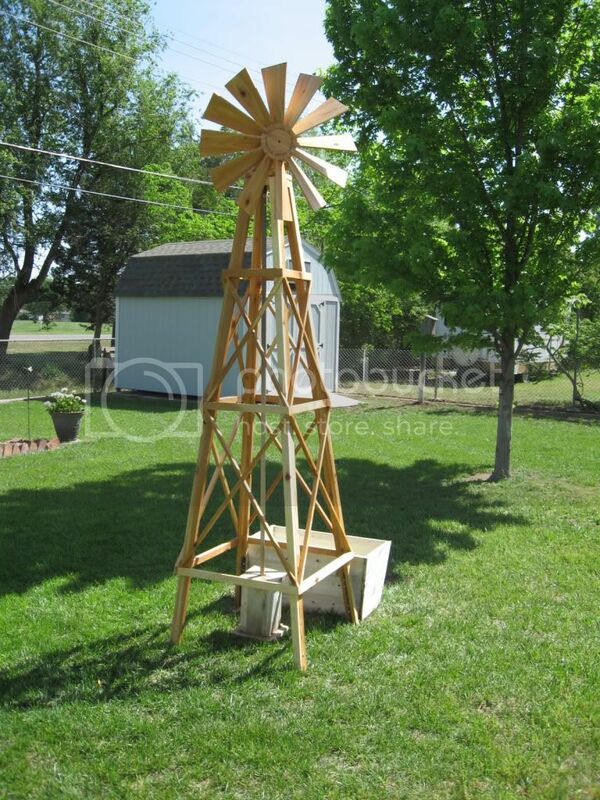 I made this windmill in 2011 and it is till standing and has that nice old weathered look today. I made this glider out of aromatic cedar and put a clear (spar urethane) finish on it. It sure doesn't look nearly as nice after 4 years of use. DON'T DO THAT unless you want to refinish it every year or two! Another thing is that cedar is a very light weight wood for moving things around.